A hui hou! : The nam-shub of Enki. AKA, push back from God. The nam-shub of Enki. AKA, push back from God. This is the nam-shub of Enki, translated from Sumerian cuneiform. It is two things: it is a story of linguistic disintegration, and it is an incantation which supposedly causes linguistic disintegration. To hear the tale is to lose the power of unders. And why did God cause this linguistic disintegration? Because mortals tried to force God to speak. 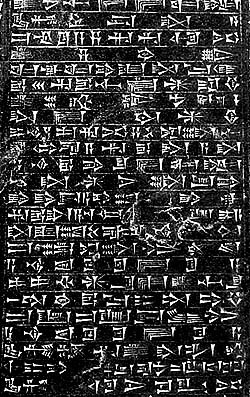 The nam-shub of Enki is from the Sumerian cuneiform. It records speaking in tongues as God's punishment to separate spiritual people from those attempting to climb their own "tower of Babel" to force God to give them a direct revelation.